We are now working to expand our operations, and so have decided to ask for a loan through Kiva Zip. 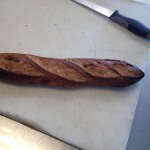 This is our second time doing a Kiva Zip loan, and the nice thing about it is that it is funded from the community of people interested in Sour Flour. The loan has 0% interest, and paid back over 3 years. 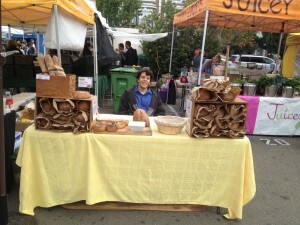 Come join us at the Noe Valley Farmer’s Market, every week from 8AM-1PM. 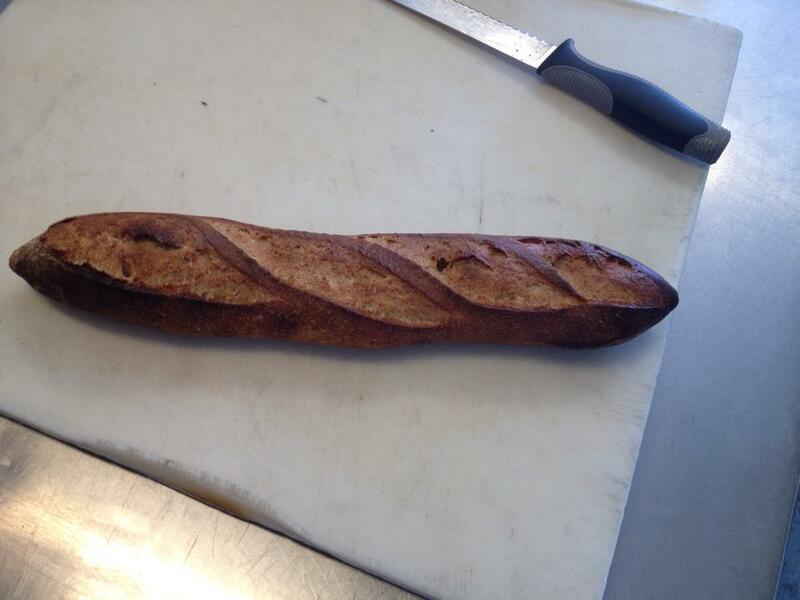 In addition to our Sour Flour loaves, we also bring our bagels, rolls, and baguettes. This week, look out for pretzels and focaccia. You can catch Nolan running the bread stand, and if you have any special requests or would like to reserve a loaf, feel free to contact Danny at (415) 509 – 1210. 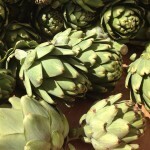 If you can’t make it to the Farmer’s Market, remember that you can always order online for delivery through Good Eggs at http://www.goodeggs.com/sourflour. 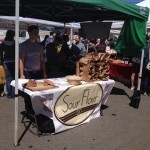 The Sour Flour baking process is an extensive one, spanning over 7 hours. 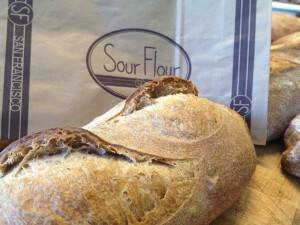 It takes 7 hours to transform flour, water, and salt into a symphony of flavors and aromas known as the Sour Flour loaf. The process starts at 7:30A.M. The starter from the night before is inspected to assure it has reached an appropriate activity level and the thermometer makes its first readings of the room, flour, and starter. The day’s bread pars are written on the big white board and according to our previous calculations, the flour, water, salt, and starter are all weighed out and transferred to the 120 quart mixing bowl. Sounds of the dough hook clanking against the bowl, squishing the dough, and emulsifying each component fill the quiet bakeshop. After mix is complete and our dough has reached the desired consistency, all 80+ Kilos are portioned into large plastic bins so that they can rest. Slowly peers arrive at the bakeshop, some to bake, some to smoke fine meats, and some to mix sweet cookie doughs. The shared kitchen area is an “open-table” for people to make friends while fine tuning skills at their respected craft. 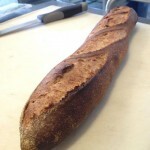 About the same time the kitchen is filled with all of its daily inhabitants the Sour Flour dough has had proper rest and folds, and is eager to make its way to the shaping table. Two employees spread out across the table and Mis en Place all required tools to begin shaping. By this point in time there is music belting out from the massive boom box adhered above a doorway, typically traditional Mexican tunes. To shape, we form bread into tight balls typically taking 20-30 minutes; when completed we go back to the first piece of dough we pre-shaped and apply the final shape to it. When our loaves have all been final shaped they are given some time to relax, they take in their final breaths before their imminent, gruesome future. 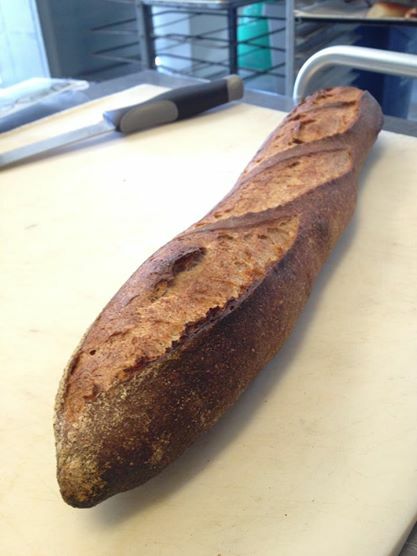 The loafs are transferred onto parchment lined boards, than two incisions are made in each, their tight layer of skin bursts open at the cut revealing a soft, open interior. The sliced loaves are transferred into a 500 degree oven just before being moisturized with a shower of water, when all loaves have made their way into the inferno the oven gate is closed and the bread is forced to withstand the heat. Time is up on the bread when their bursting cuts begin to turn brown and their tight skin has achieved a dark amber tone. Emissions of sour, earthy, and umami scents fill the bakeshop as peers stop work to inspect what their nostrils are sensing. When all of the bread has made it onto the rolling rack and rests aside the door leading to the Mission, a sigh of relief is exulted by the baker. Same as the room filled with aroma, the baker is filled satisfaction and relief as a day’s hard work comes to a rewarding end. Dinner and rest are needed to complete the day and prepare for the adventure that is tomorrow. 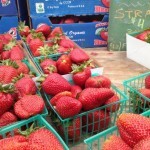 Every Saturday, at 3861 24th St, Noe Valley holds an open Farmer’s Market for whoever cares to venture out at an early hour. 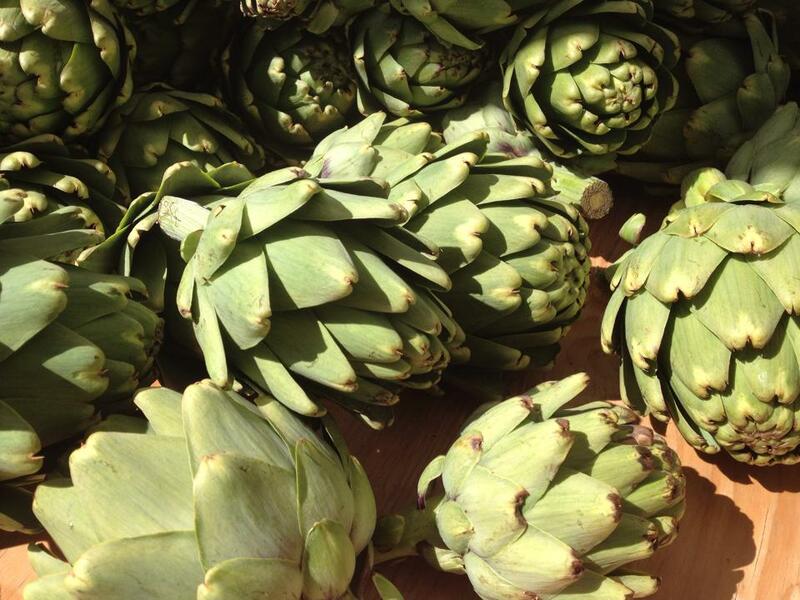 You can find purveyors of fresh zucchini, strawberries, kale, fennel, grass-fed meats, fresh goats cheese, fine French pastries, completely gluten free desserts, as well as a number of other raw and prepared foods. 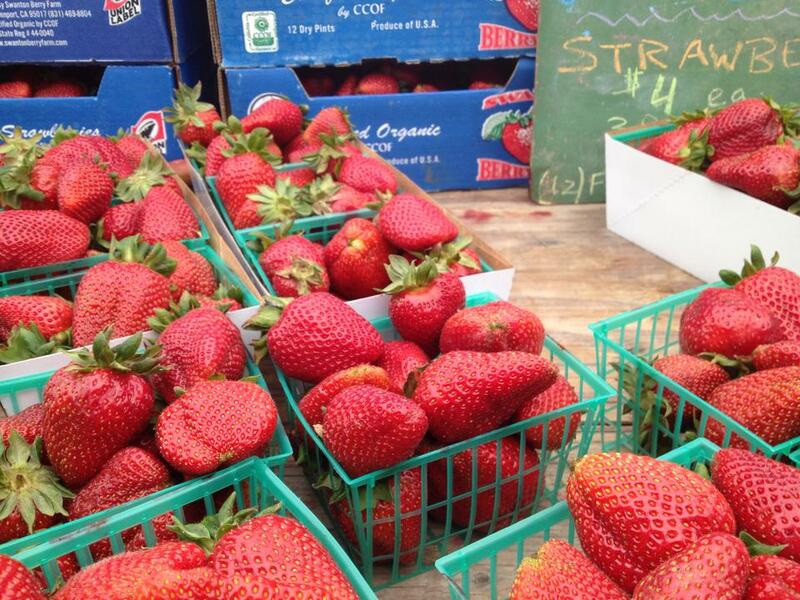 The farmer’s market is an easy and beneficial way to support your community. 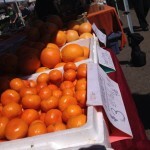 Proceeds make their way to local farms, and small business, creating a symbiotic relationship between business and community. 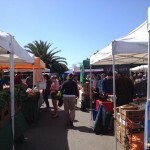 The Noe Valley Farmer’s Market is a one stop food spot, for all of your grocery needs. 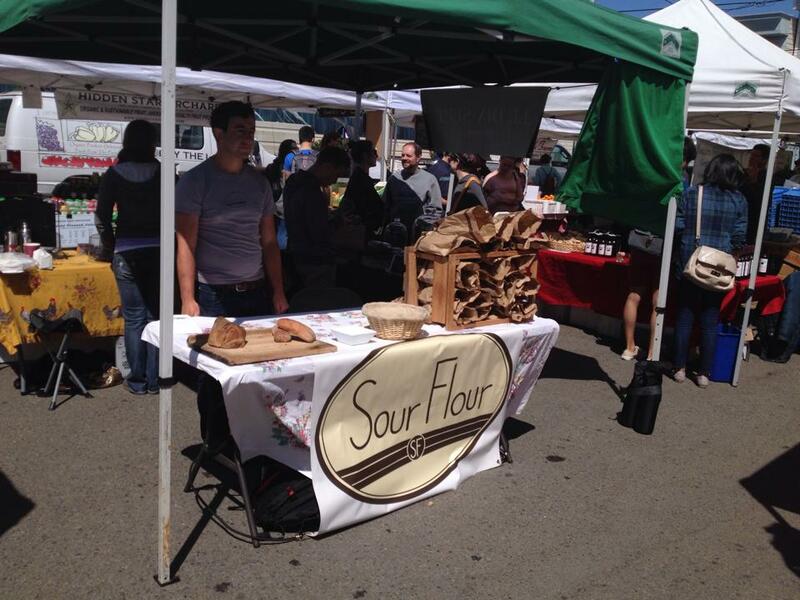 One thing you will always find at the Market is Sour Flour’s signature bread. The loaves, rolls, and bagels make their way out of the oven at 7am Saturday morning, by 8am they are placed on display, ready for sale. By 11am what’s left of the sourdough bread is just starting to lose it’s residual heat, still fresh and ready for a hungry stomach. Always expect local musicians to be playing classics, along with their own music all morning long, some even have CD’s for distribution. 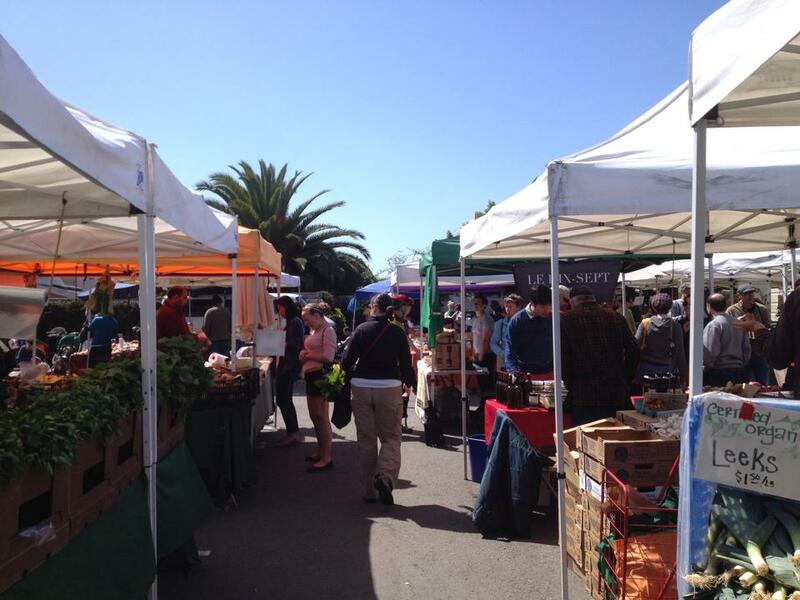 The live music makes the Noe Valley Farmer’s Market the perfect place to take your child on Saturday morning, there is plenty of space to roam and a matted area for families to sit and enjoy lunch. By morning’s end, 1pm, the Farmer’s Market is nearly out of product, signified when Elizabeth, the Market manager, rings her cow bell. 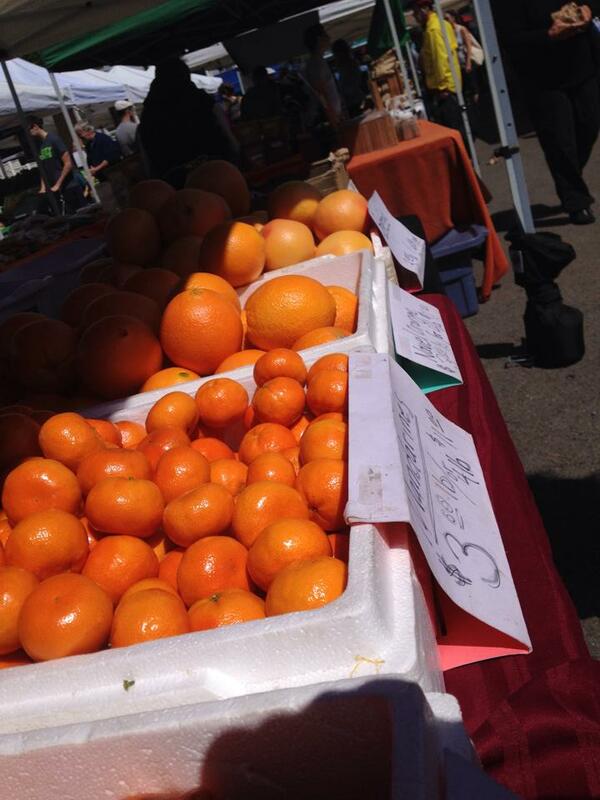 The Noe Valley Farmer’s Market’s mission is to introduce local, farm fresh produce to the community, so stop by next Saturday and see what it’s all about.